This rich red Moleskine Volant notebook has been hand-decorated with gold to show our Shivanaut going through all eight hand positions. 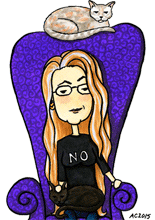 The stick figure dancer’s mind is a swirl of new ideas and epiphanies! Wondering what Shiva Nata, or Dance of Shiva, is? You can find out all about it at shivanata.com. Moleskine’s colorful notebooks are ideal for customization, turning the high-quality book into a work of art in which to wrap your ideas. The acid-free ruled paper is a creamy ivory color, and a delight to write on. The large size Volants have 96 pages between their soft vinyl covers. 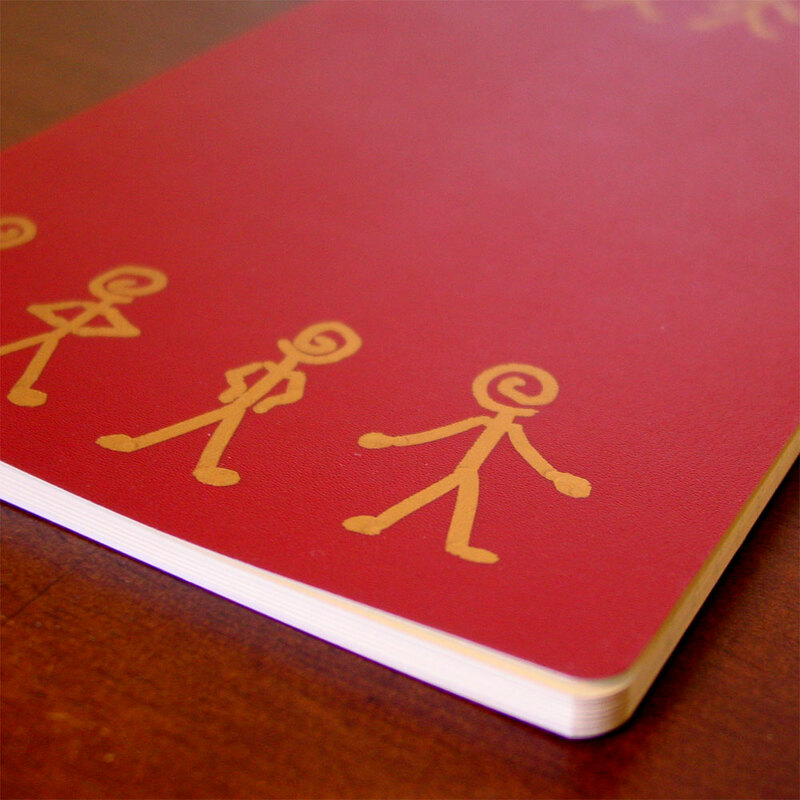 The design is in oil-based gold Sharpie, and should last as long as the notebook it’s drawn on. 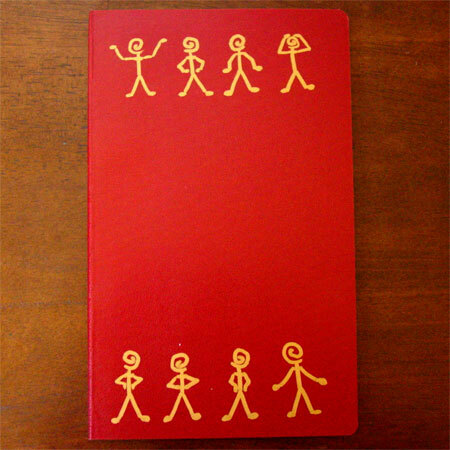 Stick Figure Shivanaut, 5″x8.25″ customized Moleskine Volant notebook, sold.